I know I claim to love every single recipe on this site but I’m not going to lie that I have my recipe pets. My favorites. 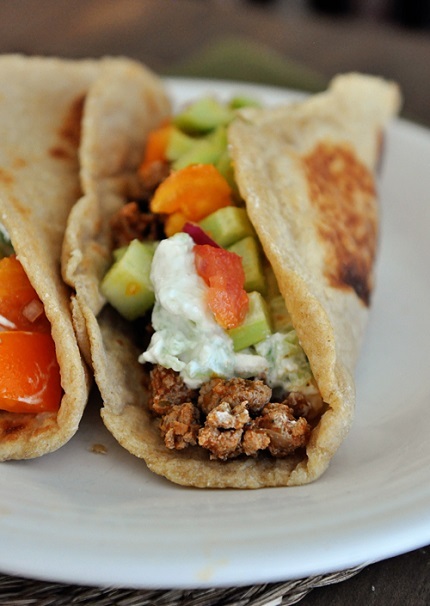 The ones I could eat every day for the rest of my life and never grow weary of and these Big Fat Greek Tacos (I can’t bring myself to just call them a Greek taco — super lame and boring) are so up there. I beg and plead and implore you to give these a shot. I’ll send some tissues for when the weeping commences. Just know, I’ll be putting my virtual arm around you in support. 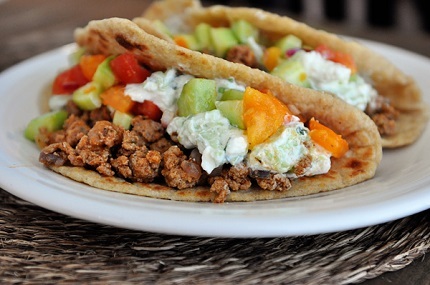 Lovers of Big Fat Greek Tacos must stand together. Oh, and did I mention that although the recipe has several components, they can all be made ahead of time (we’re talking hours or days ahead of time) which makes the actual dinner hour a breeze. 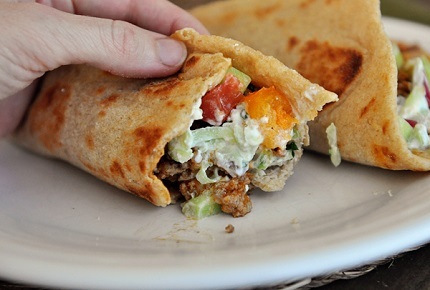 Thanks to Sally for the tips on making everything in advance (she made these for a group of 20, so she’s basically a Big Fat Greek Taco expert; something I can only aspire to be someday). The cucumber salsa and the tzatziki sauce can be prepared up to a day in advance and refrigerated. Sally mentions that she's made the meat mixture and kept it on low in a crockpot for up to 4 hours to let the flavors develop (and help when entertaining or if you need some flexibility).